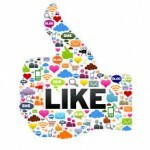 Building Your Social Media Identity - KB Concepts P.R. For every organization — long-established or thriving start-up — a social media presence is crucial to building a brand, identity and trust with stakeholders. Many organizations want to amplify their social media presence, reach and engagement, but there are a growing number of options for public profiles and online communities. When it comes to your online public presence, choosing the right channel for your content sharing and messaging is crucial. When building out a social media page for your organization, think about what you want to share on that channel. Do you want to disseminate information and chat back and forth with other professionals? Demonstrate the work you do through photos, videos, and audience discussion? Or do you want to build and strengthen your identity? The UC San Diego Health Sciences System has a great rule of thumb for this, I recently learned. As part of a community outreach initiative, UCSD was looking for a way to engage with the greater San Diego community on a more transparent level. To do this, they revamped their Facebook page to share client stories, photos and wellness tips with their patient-care community. On its Twitter page, UCSD posts mainly news releases targeted to the media and the public, functioning much like a good wire service. Lastly, to build its brand as a large health system focused on patient-centered research, they created a Tumblr to share their breaking initiatives with journalists and scientists. This strategic use of each one of their platforms ensures that each piece of content gets to the right audience. As any social media nerd will tell you, the great thing about the social space is the ability to take everyday conversations and broaden the audience. When building an online community, the key word is “social.” It can be easy to fall down the rabbit hole of constant posting of new content. However, if you want to build followers and generate more conversation, it is important to really participate. Personality will take you far. The Oreo brand has built a definitive personality on Twitter, partially through interactions with other users. Think of it as a way to promote yourself or your content in a more creative way. In the DC area, social media guru and motivational speaker Cynthia De Lorenzi writes and speaks about building your online identity, especially on the much-misunderstood Google+ platform. Check out her Google+ and Twitter pages here. If you’re looking for helpful social media and branding resources, Ragan Communications has some great articles on the subject. Social media result measurement sites like Buffer and Twitter for Business offer free webinars that I absolutely recommended as a useful way to give your organization a stronger identity without breaking the budget. As social media evolves, we must evolve with it. Part of that is utilizing our platforms in a way that sparks creativity, innovation, and engagement – and doesn’t take away from other content. What are your tips for building a strong social media identity that strengthens your brand? Or building a presence from the ground-up? We’d love to hear more good ideas so please share them here. Sarah Sonies is the Associate Editor for Wing of Zock, a health care innovations blog recently recognized by the American Society of Healthcare Publication Editors for its editorial excellence. A Virginia native, she holds a BS in Mass Communications from Virginia Commonwealth University and an MA in Public Communication from American University. She is particularly interested in how social media can engender conversation and drive change for social good.